Following on from my post on the markets and fairs of Market Drayton (posts passim), my home town, the following comment was left on the site by Andrew Allen long after comments on the post itself were closed. Andrew also grew up in Market Drayton somewhat later than myself and my siblings and his words are reproduced below. I was born and brought up in MD and for some reason I just had a flashback of the Court Leet which I recall being re-enacted when I was a child in the late 1970s. It was great to read your notes about the Court. We have a photo at home (my mother’s) of a load of gentlemen standing outside the Corbet in their finery, I guess around 1900… it has my grandfather in the shot… I now think that must have been the Court Leet. Anyway, thanks for your notes. Courts Leet were a very old institution. According to Wikipedia, “The court leet was a historical court baron (a manorial court) of England and Wales and Ireland that exercised the “view of frankpledge” and its attendant police jurisdiction“. 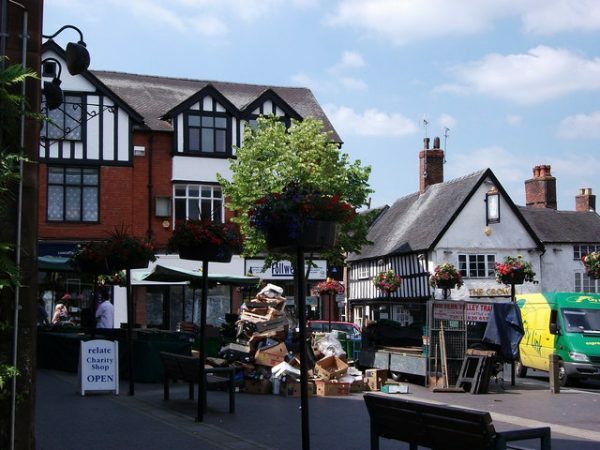 At Market Drayton there are several fairs held by right of ancient charter. One great one, called the “Dirty Fair,” is held about six weeks before Christmas, and another is called the “Gorby Market,” at which farm-servants are hired. These are proclaimed according to ancient usage by the ringing of the church-bell, and the court-leet procession marches through the town, headed by the host of the “Corbet Arms”, representing the lord of the manor, dressed in red and black robes, and the rest of the court carrying silver-headed staves and pikes, one of which is mounted by a large elephant and castle. At the court several officers are appointed, such as the ale-conner, scavengers, and others. The old standard measures, made of beautiful bell-metal, are produced, and a shrew’s bridle, and then there is a dinner and a torchlight procession. High Street Market Drayton with the Corbet Arms Hotel on the right. Image courtesy of Wikimedia Commons. Only two officers of the court are mentioned by Ditchfield – the ale-conner and scavengers. The ale-conner’s duties were to ensure the quality of ale and to check that true measures are used. The duties of scavengers were to ensure standards of hygiene within the lanes and privies and to try and prevent the spread of infectious disease. The ceremony Andrew remembers seeing as a youngster in the late 70s was a one-off re-enactment in 1977 for the Queen’s Silver Jubilee. The Shropshire Star sent a photographer to record the event. The paper’s record of the celebrations, including the court leet re-enactment is still available online. As regards photographs of the original court leet, the Shropshire Archives collection contains 3 photographs of the court leet, all dating from the first decade of the twentieth century. According to the National Archives, the Shropshire Archives also contain a printed menu from 1936 for the Market Drayton Tradesmen’s Association dinner held at the Corbet Arms Hotel after Drayton Manor Court Leet broadcast. So it seems the court leet may have survived in some form until the mid-1930s. Many thanks to Andrew for getting in touch and sharing his memories. If anyone has further knowledge of which other officers constituted the Court Leet, please use the comments below or the contact form. In Britain many of the markets and fairs that survive today have their origins in the Middle Ages, when having successful markets and fairs could mean the difference between prosperity or oblivion to a settlement. 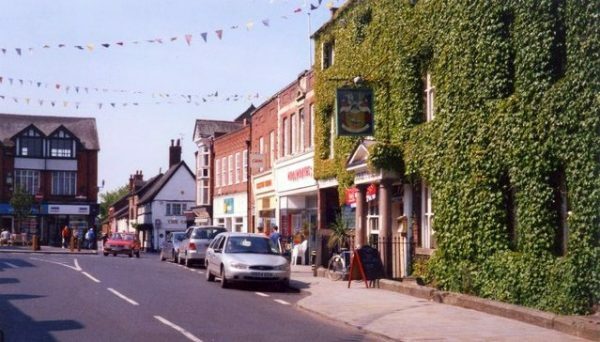 Where I grew up in north Shropshire, so successful was the market that the parish of Drayton in Hales – also known as Drayton Magna or just Drayton – tacked market onto front the name of the settlement and it’s been Market Drayton ever since. The origins of Drayton’s market are indeed medieval and date back more than seven centuries. In 1245 King Henry III (1 October 1207-16 November 1272) granted a charter to the monks of Combermere Abbey in Cheshire for a weekly Wednesday market in Drayton. That market is still held and draws visitors from a wide radius, not just from nearby rural villages, but encompassing urban conurbations such as The Potteries, a good 15-20 miles away. In recent years, the historic Wednesday street market has been supplemented by a Saturday market. Over the centuries the original market changed of course. In 1824 the Buttercross was built, reportedly on the site of a vanished much older cross, in Cheshire Street as shelter for the farmers’ wives selling their dairy produce. When it wasn’t market day, the Buttercross was somewhere dry to leave the bike on trips into town. During my childhood the general market was held in the middle of town in Cheshire Street and High Street, whilst the accompanying livestock market took place on a site off Maer Lane. I can remember helping to drive cattle to market through the streets. The livestock market itself has not been immune to change. The site that I remember was sold off by its owners, local estate agents and auctioneers Barbers, who replaced it with new facilities out on the A53 bypass, rather further away from the town’s pubs, which used to open very early in the morning on market day. In addition to the weekly market, there were also various fairs, one of the last of which was known as Drayton Dirty Fair. This was a livestock market which specialised in ponies and horses and was held in October each year. An introduction to these fairs is given by Peter Hampson Ditchfield’s 1896 book, Old English Customs Extant at the Present Time: an account of local observances. At Market Drayton there are several fairs held by right of ancient charter. One great one, called the “Dirty Fair,” is held about six weeks before Christmas, and another is called the “Gorby Market,” at which farm-servants are hired. These are proclaimed according to ancient usage by the ringing of the church-bell, and the court-leet procession marches through the town, headed by the host of the “Corbet Arms,” representing the lord of the manor, dressed in red and black robes, and the rest of the court carrying silver-headed staves and pikes, one of which is mounted by a large elephant and castle. At the court several officers are appointed, such as the ale-conner, scavengers, and others. The old standard measures, made of beautiful bell-metal, are produced, and a shrew’s bridle, and then there is a dinner and a torchlight procession. Let’s start with the Dirty Fair. This was one of the last fairs of the year being held in October and its name originates not from the cleanliness of the attendees (which included a large number of gypsies and travelling folk. Ed. ), but from the increased likelihood it being held in foul, i.e. dirty, weather. Quaint customs die hard. The ancient ceremony of proclaiming October or “dirty” fair, which dates from the thirteenth century, was recently observed at Market Drayton (Eng.). In the early morning the Court Leet of the Manor of Drayton Magna, consisting of the bailiff, aletester, constables, scavengers, searchers and sealers, chaplain, and town crier, paraded the streets warning all rogues, vagabonds, and culpenses, as well as all idle or disorderly persons to depart, or remain at their peril. There was no visible exodus. Every 24th October there was the “Dirty Fair” at Market Drayton when the gypsies from near and far gathered to sell their ponies. The ponies were put into fields around Betton Wood. They were almost wild but the children would climb on them and ride them. There were lots of caravans parked along the road especially near Mucklestone Rectory. They would collect tin cans from Daisy Lake, and make pegs. During the “Dirty Fair” there was a lot of drinking and fighting in the town so the children were not allowed there. As far as can be ascertained, the last Dirty Fair was held some time in the early to mid-1970s. The Shropshire County Archives contain 3 photographs from the Drayton Dirty Fair; the last one is dated 1973. When it comes to finding out more about the Gorby Market, the rural hiring fair held in Drayton and described by Mr Ditchfield, your correspondent has drawn a more or less complete blank. No etymological origins or other information has come to light despite weeks of searching. 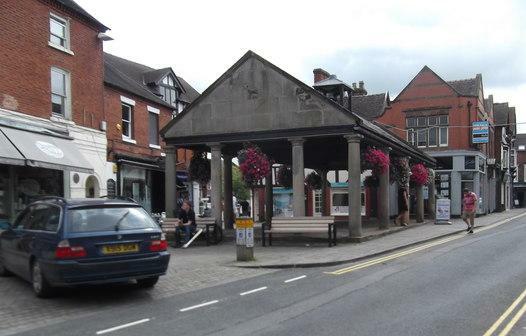 The only other facts unearthed on the Gorby Markets were that two other Shropshire towns held them, i.e. Wellington and Craven Arms. The Craven Arms market mutated over time from a rural hiring fair to a more social event and died out some time in the 1920s. However, there may have been many more hiring fairs than Gorby Markets. In his 1994 book, Shropshire’s Wonderful Markets, George Evans writes that hiring fairs, mop fairs and Gorby Markets were a common occurrence in most Shropshire market towns whose object was to hire out a man or a woman’s labour for a year, despite their various forms. Besides the Dirty Fair and Gorby Market, Drayton boasted yet another annual event – the Damson Fair. In times gone by Market Drayton was reputedly famed for its Damson Fairs when the textile makers from the north of England would buy the damsons to make dye for their cloth. Damsons were used in the British dye and cloth manufacturing industries in the 18th and 19th centuries with large-scale planting occurring in every major damson-growing area, including Shropshire. In addition to northern cloth mills, damsons were also used as a dyestuff in the carpet and leather goods trades. This fair probably declined in the late 19th/early 20th century with the development of synthetic dyes. If any reader can contribute to the gaps in my knowledge of Drayton’s Dirty Fair, Gorby Markets or Damson Fair, please feel free to comment below. 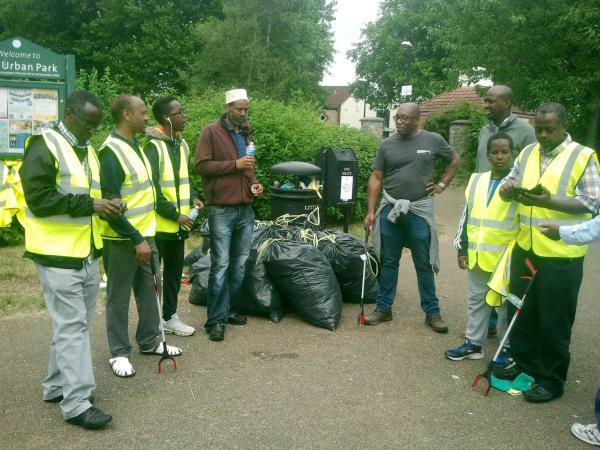 Yesterday, along with Kurt James, Bristol City Council’s co-ordinator for the Bristol Clean Streets campaign, and local resident Eric Green, I joined a group of volunteers from Tawfiq Mosque in Barton Hill (usually rendered as “Bart Nil” in the local vernacular. Ed.😉 ) for a community litter pick. Starting at 10.30 in the morning, we split into 6 groups and tackled six different parts of the area for the next 2 hours, picking up litter and noting any larger, fly-tipped items for reporting later. It was a successful event and I was most encouraged by the cheerful enthusiasm and commitment of those involved. The photo below shows just some of the stuff we collected. Some of the litter picked up assembled at the Urban Park collection point. Your correspondent understands the mosque plans to make this a regular event. If so, I’ll try and get along again to assist. In the meantime, if you spot a problem on a Bristol street, be it an abandoned vehicle, litter, fly-tipping, a blocked drain or anything else, please report it to the council for attention. “Th” sound to disappear from English in coming decades? The “th” sound, which had its own letter – thorn (Þ, þ) in Old and Middle English – could disappear from spoken British English, today’s Daily Telegraph reports. By 2066, linguists are predicting that the “th” sound will vanish completely in london because there are so many foreigners who struggle to pronounce interdental consonants – the term for a sound created by pushing the tongue against the upper teeth. In the wider South East of England Estuary English – a hybrid of Cockney and received pronunciation (RP)– is already being replaced by Multicultural London English (MLE), which is heavily influenced by Caribbean, West African and Asian Communities. The Telegraph is reporting on the release of the Sounds of The Future report produced by Dr. Dominic Watt and Dr. Brendan Gunn from the University of York. Glottal stop – the slight linguistic trip which turns ‘butter’ into ‘bu’er’ in dialects like Cockney could become more widespread around the country. Commenting on the same report, the Newcastle Chronicle leads with the headline “The Geordie accent is on the way out say language experts“, remarking that language experts say that by 2066 the distinctive Geordie accent will sound like a southern one. I’m indebted to Twitter user @StapletonRd for the following photograph of communal bins in the prosperous Clifton area of Bristol. Communal bins screened by Bristol City Council to protect the delicate eyes of Clifton residents. As you can see, no effort – or expense – has been spared to make communal bins acceptable to the area’s rich residents, who have sharp elbows and loud voices, not to mention the ear of the council. Now let’s contrast this with Milsom Street in Easton, where communal bins were imposed on residents in 2012 after a botched council consultation (with the emphasis on the first syllable of consultation. Ed.). Somewhere under that pile of furniture is a communal bin. 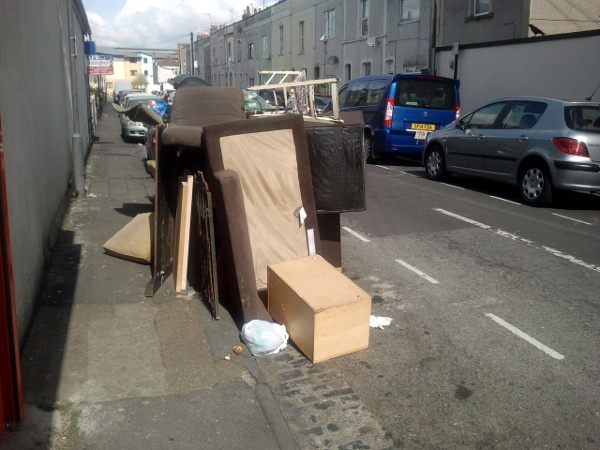 Somewhere under that pile of fly-tipped furniture (reported to Bristol City Council this morning. Ed.). In Easton the communal bins were introduced by the council as a remedy to tackle an endemic local fly-tipping problem. One can see how well it’s worked. 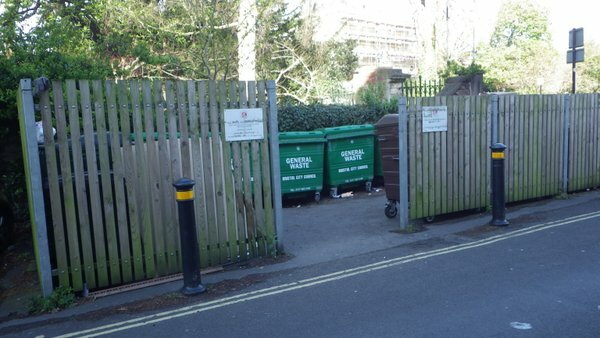 One can also see that no effort has been made to make the communal bins more attractive to Easton residents: no off-street siting of bins; no wooden fencing to screen them from delicate eyes and so on. Many years ago, east Bristol residents campaigning to retain public access to Packer’s Field, 7 acres of much-used green space for informal public recreation, were told by council officers that they “were not the kind of people the council listened to“. By the unequal treatment of Clifton and Easton residents in respect of communal bins, that attitude is still alive, well and kicking very, very hard indeed down at the Counts Louse (or City Hall as some now call it. Ed.). One can only hope that after the mayoral and council elections on Thursday, those newly elected will finally start to break down the discrimination and unequal treatment of different areas that has blighted Bristol City Council’s administration of the city for generations. De Volkskrant reports that speakers of Dutch are daily more circumlocutory with many diversions and ’empty elements’ than speakers of languages such as Bantawa, Bininj Gun-Wok, Egyptian Arabic, Samoan, Sandawe, Kharia, Khwarshi, Kayardild, Teiwa, Tidore, Sheko and Sochiapan Chinantec, according to research by graduate researcher Sterre Leufkens of Amsterdam University. A total of 22 languages were scored by Leufkens for the presence of unnecessary grammatical elements and rules. Her dissertation contains several disappointing findings about her mother tongue. Take the difference between ‘de‘ and ‘het‘. English only has ‘the‘. Under the coconut palms of Samoa in the south Pacific they have know for a long time that life can be easier from a linguistic point of view. Another interesting fact is that when Dutch arrived in southern Africa, ‘de‘ and ‘het‘ melted like Dutch snow in the African sun to make space for the clearer ‘die‘. Dutch is also long-winded because verbs have a plural form – hij loopt and wij lopen – and due to the double plural endings of substantives: ‘ziektes‘ and ‘ziekten‘, ‘sektes‘ and ‘sekten‘. Dutch has no less than three ways to compose words. In linguistic jargon such peculiarities are known as historical junk. In Dutch the lumber could have accumulated over the centuries due to the fact that few people made this language their own as a second language. When large groups actually do that it often results in grammatical simplifications. That must have happened some 1,500 ago with the West German dialect from which English is derived. Earlier this month, Staffordshire-based production team THE 7TH TOWN released its first feature length documentary called Oatcakes! It’s a film about local pride and the people of the Potteries directed by Robert Burns and produced by Toby DeCann. Local delicacy the Staffordshire oatcake (posts passim) features prominently in the film, as do the ales produced by Burslem’s Titanic Brewery (Edward Smith, captain of the ill-fated RMS Titanic, was born in Hanley. Ed.). There are fine renditions of the local accent too, as well as lessons in Potteries history, heritage and culture. It may be 1 hour and 45 minutes long, but if you have an interest in the food and/or people of the Potteries and North Staffordshire, it’s well worth watching. Alright me babber? Have you heard that hotel chain Travelodge has produced a guide to the West Country accent? The Gloucestershire Echo has. Alright me Babber: How are you? 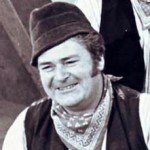 The West Country accent is the third most popular in the country, according to research, behind the Geordie and Yorkshire accents (don’t tell my Lancastrian brother-in-law! Ed.). One noticeable omission from the glossary above is ‘daps‘, Bristolian dialect for those shoes used for PE in schools, otherwise known as plimsolls or pumps. Bristolians also use the term to describe trainers. The research also found that people who speak in West Country accents are less likely to be able to understand the accents of other people from elsewhere in Britain than they could understand Spanish or Italian. Curious (Blige! As one would say in Bristol. Ed.). The range of accents in the West Country extends from broad in the working-class and in rural areas through accents modified towards RP in the town and the lower middle class to RP proper in the middle and upper classes. Local speech is rhotic, with a retroflex /r/ in such words as rap, trip and r-coloured vowels in words such as car/cart. Postvocalic /r/ is widely retained in such cities as Bristol and Exeter, despite the influence of RP, which is non-rhotic. In other cities, such as Plymouth and Bournemouth, rhoticity varies. Traces of variable r-pronunciation are found as close to London as Reading and Berkshire. The entry then goes on to deal extensively with local grammar, vocabulary and the literary West Country. One of the oldest districts of Bristol is Redcliffe (or Redcliff. Ed.). According to its Wikipedia entry, Redcliffe – the more common spelling – was once part of the manor of Bedminster before its absorption into the city of Bristol in the 13th century. However, the spelling of Redcliff(e) has long caused controversy. This yere was the Trenche y-made and y- caste of the ryvere, fro the Gybbe Tailloure unto the key, by the maanovre of alle the Cominalte, as wele of Redcliff warde as of the Towne of Bristowe. And the same tyme thenhabitaunts of Redecliff were combyned and corporatid with the Town of Bristowe. And as for the grounde of Seynt Austyn’s side of the forseid ryver hit was yeve and grauntid to the Cominaltee of the seid Towne by Sir William a Bradstone then Abbot of Seynt Austyns for certeyn money therfore to hym paide by the seide Cominaltee. As appereth by olde writyng therof made bitwene the forseid Maire and Cominaltee and the seid Abbot and Covent. Redcliff these days tends to appear mostly in street names, such as Redcliff Street – the ancient road leading from Bristol Bridge to the former Redcliffe Gate in the city’s medieval walls – whilst Redcliffe is the more common version. A couple of quick text searches via Google of Bristol City Council’s website for Redcliff and Redcliffe gives the following results. However, confusion as the spelling of Redcliff(e) has a long history. This is amply illustrated by the painting below by James Johnson entitled Redcliffe Street. 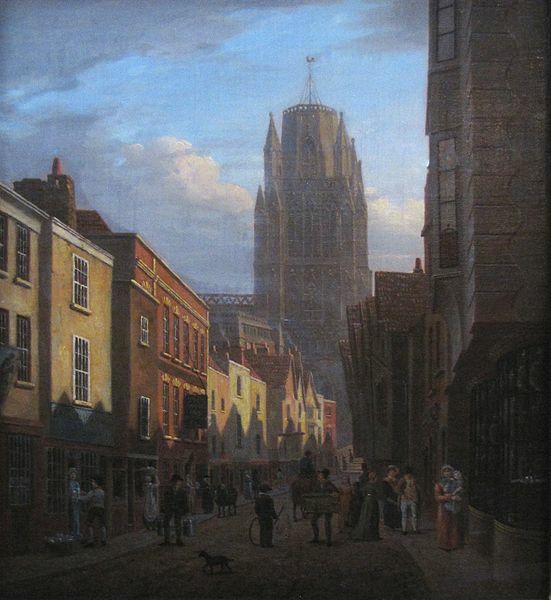 It was painted around 1825 and hangs in Bristol City Museum & Art Gallery. Kerry McCarthy, MP for Bristol East, has now stepped into this confusing orthographic and municipal muddle via the following tweet dated August 21st. @wood5y I'm thinking of starting a campaign for the council to agree one way of spelling Redcliffe/ Redcliff and to stick to it. Are you in? Before boundary changes preceding the 2010 election, Redcliff(e) was part of Kerry’s Bristol East constituency. It has to be conceded that there is plenty of merit in Kerry’s suggestion, although she maintains she was only ‘moaning in Twitter’. Bristol is nevertheless one of those places which changes at a glacial pace and place names in Bristol are frequently named after long-vanished owners/occupiers. For instance, most older inhabitants of the city still refer to the local authority’s headquarters as the Council House (pronounced Counts Louse locally. Ed. ), even though one of the fist acts of elected Mayor George Ferguson was to rename it with the American-sounding City Hall in a cosmetic exercise. Does Kerry’s campaign have any chance of success? Your views are welcome in the comments below. Integrate Bristol is a local charity formed to help with the integration of young people and children who hail from other countries and cultures. In addition, Integrate Bristol campaigns against all forms of violence and abuse against women and girls and promote gender equality; it aims to raise awareness of and promote education around these issues through its creative projects. One of the forms of abuse Integrate Bristol campaigns against is the practice of female genital mutilation (FGM). Although strictly illegal in the UK, FGM still continues and laws set in place to protect children do not adequately ensure the protection of girls from practising cultures. The most recent creative project organised by Integrate Bristol is the #useyourhead video. #useyourhead is the title of the song that launches the next part the campaign by Fahma Mohammed and the young people of Integrate Bristol against FGM. This had its première on Thursday 26th June at Bristol’s Counts Louse (otherwise known as City Hall by some. Ed.). If readers have any concerns regarding FGM, they can call the free 24-hour helpline on 0800 028 3550. For more information about the work of Integrate Bristol, see http://integratebristol.org.uk/about/. Update 04/07/2014: from @MsMottram on Twitter, news arrives that the video is now featured on the Cosmopolitan website, where it’s described as “our tune of the summer so far“.